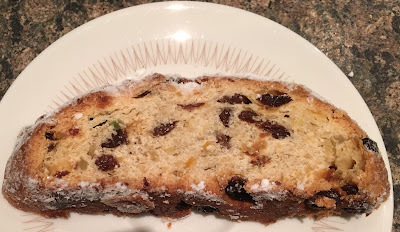 The Christmas decorations may well all be tidied away, but I still have lovely foods in the Foodstuff Finds store cupboard from the season. This particular Christmas Stollen came from Germany, via my dad who was visiting there recently. 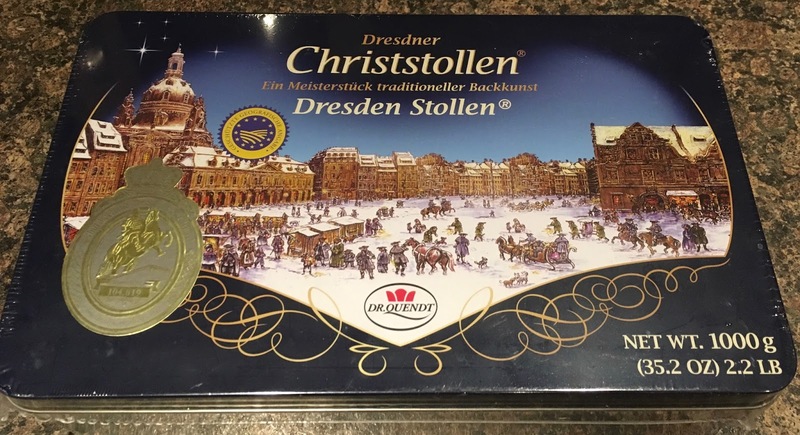 It is quite stunningly packaged in a beautiful tin, which is certainly a keepsake. 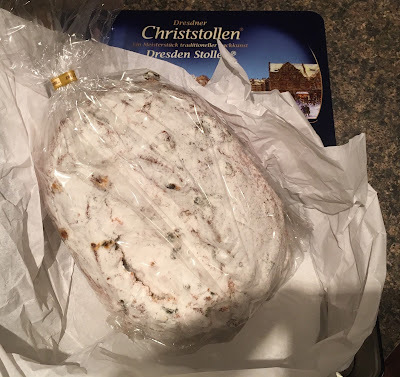 I opened up the tin and found a huge Stollen, wrapped in tissue paper and sealed in a bag, all ready to get stuck into.